The 2014 JM / AL3P Middle-earth Calendar Now On Sale! 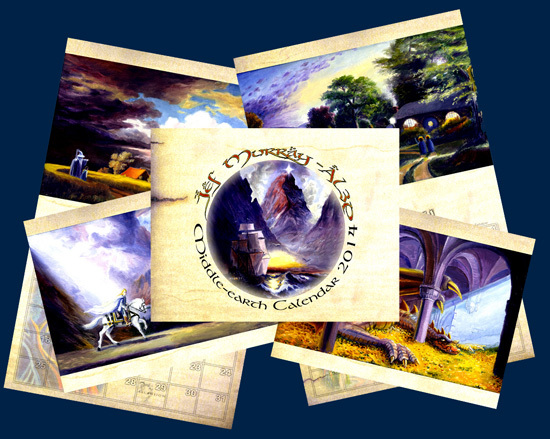 The 2014 Jef Murray / AL3P Middle-earth Calendar ON SALE! Signed copies of this brand new 2014 calendar are now available worldwide, shipped directly from the illustrator, and half of all proceeds go to support A Long Expected Party 3 in Kentucky! The calendar is loaded with Middle-earth inspired painting images from Jef’s galleries. It also includes lunar phases, international holidays, and dozens of visual “Easter Egg” cues for dates of significance from the Third Age of Middle-earth! You can purchase your own copy by clicking here. n’t fill in the online order form, so I hope you will get this.